This month’s column is all about Christchurch – and for good reason. Last night I had the pleasure of attending the Attitude Awards 2014 and everyone was pleased for all the amazing award recipients. For me, the highlight of the evening were the awards that went to leaders in the arts. I am so pleased and proud that Lyn Cotton, Artistic Director of Jolt Dance, has received the Making A Difference Award. Lyn has devoted herself to developing Jolt Dance to become the leading community integrated dance company in New Zealand. Lyn is an inspiration to everyone she works with. 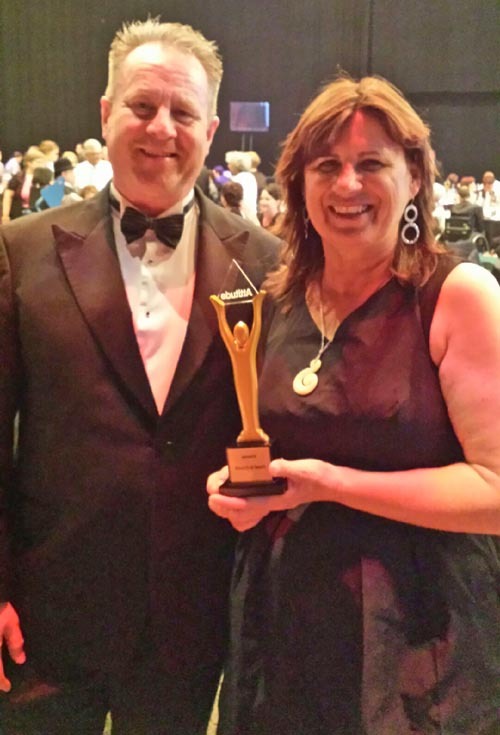 Congratulations to Lyn and her team. I expect everyone in the Jolt Dance community will also be thrilled and proud. The other recipient I’d like to acknowledge is Paul Barrett, who has worked as an actor, musical director and comedian for 34 years. Paul, who has Tourette syndrome, received the Attitude Artistic Achievement Award. Paul is also this month’s artist profile. You can read more about his many achievements here. I’d also like to congratulate the other finalists: dancer Salem Foxx of the Kapiti Coast and visual artist Yaniv Janson of Hamilton. More news about Christchurch leaders ... The classic and greatly loved Isaac Theatre Royal has literally risen from the ashes, following the board’s brave decision to demolish the irreparable auditorium and foyers after the Canterbury earthquakes. On 17 November, the rebuilt Isaac Theatre Royal opened its doors for the first time in three years. No wonder the full house of theatre lovers roared their approval to Neil Cox, the Chief Executive, as he came onstage and welcomed everyone back before handing over to the magnificent Russian National Dance company to bring the stage to life again. 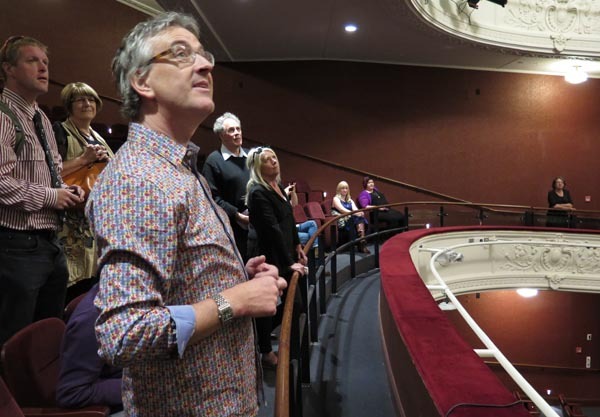 Three years ago, Neil and architects Warren and Mahoney decided to include as many accessible features as possible in the new building so it would give all theatre patrons, including those with accessibility needs, a fantastic experience. They have excelled themselves. The day after the opening the first group to attend a formal tour was Arts Access Aotearoa’s Arts For All Christchurch Network members (theatre managers, museum staff, festival producers and representatives from the disability sector). 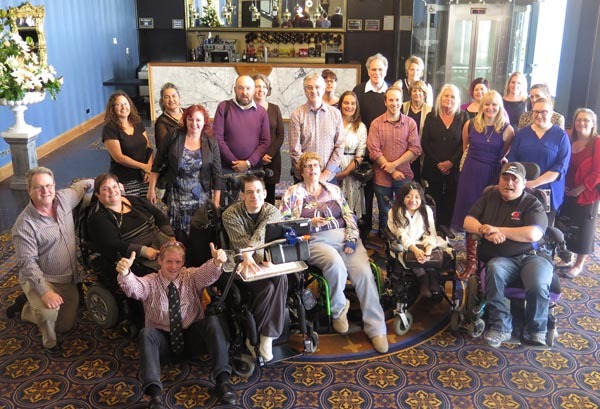 Also attending were members of Arts Advocates Christchurch, a recently formed group of people with lived experience of disability. Neil delighted everyone by showing them the multiple choices of spaces for wheelchair users and flexible seats, now available in the stalls and the new dress circle. The whole complex is accessible via a talking glass elevator, along with access to the stage for people who use wheelchairs. There’s also the latest hearing loop technology and a passion by the staff to make the Isaac Theatre Royal accessible and inclusive. It’s a magnificent achievement and a fantastic milestone for Christchurch. Canterbury Museum is an active member of the Arts Access Aotearoa Arts for All Christchurch Network, and is working on ways to improve access and inclusion. In association with SkillWise, the museum will present an exhibition of art from 27 January to 22 February that’s inclusive of artists from different communities and backgrounds. This exhibition is a positive demonstration by Canterbury Museum on how to provide an exhibition that touches a wide section of the community and showcases the artists’ talents. This month's In Touch has two news stories about this exhibtion: Art without labels in Christchurch exhibition and Our Studio artists in Canterbury Museum exhibition. Yesterday, 3 December, was the International Day of Persons with Disabilities. In a column in The Dominion Post, Disabilities Commissioner Paul Gibson draws attention to three areas that New Zealand needs to progress to ensure disabled people’s human rights, which are laid down in the UN Convention on the Rights of People with Disabilities – ratified by New Zealand in 2008. One point he raises is that “Many are still struggling for basics like proper access to public buildings”. Neil Cox and his team at Isaac Theatre Royal have provided excellent choices of access for disabled people to enjoy the performing arts in what is a private sector building for the public to enjoy. It’s a fine example of what there should be and what is possible. Thank you for reading In Touch throughout 2014. It’s always a pleasure to let you know the amazing achievements and efforts of creative spaces, arts organisations, venues and producers – all working to make the arts more accessible and inclusive for everyone in Aotearoa. Have a safe festive season and let’s start it all over again in 2015 – our twentieth anniversary year. More about that next year. Original generation time 1.5062 seconds. Cache Loaded in: 0.0431 seconds.